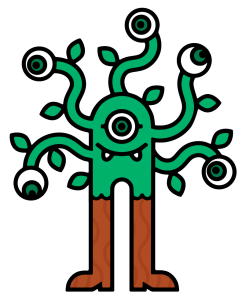 One of the views of Marti, the Management 3.0 Monster, is Align Constraints. Align Constraints is for me about the behavior of people, but also about direction. In a Management 3.0 environment, there are maybe teams who are self-organizing, and also self-steering. These are two different things! Self-organizing teams are common practice nowadays, definitely when an organization has implemented Scrum. As it is written in the Scrum Guide: “Scrum Teams are self-organizing and cross-functional. Self-organizing teams choose how best to accomplish their work, rather than being directed by others outside the team.” These teams are not self-steering! They don’t decide where to go. They only choose how to go, when the Product Owner has decided where to go. If you are going to work with self-steering teams, it would be wise to implement a Delegation board. Also, understand your role as a manager in the delegation board. Also, you need to make there is a clear vision and purpose for the organization. This will give the team a direction. However, there is another thing that is required for self-steering teams. Metrics! No target-setting based on metrics, but metrics to understand what is happening. There are 12 Guidelines for good metrics. If you keep those guidelines in mind, it helps you to develop useful metrics. Metrics that a self-steering team can use to find out where they are going and how they are performing. Guideline 1: Measure for a purpose. What is the reason you are measuring? Can you give a reason in a few seconds? If not you should question your metric. Guideline 2: Shrink the unknown. Always measure from multiple perspectives. Not just measure one dimension of a system, but try to measure various dimensions to understand what is happening in a system. Guideline 3. Seek to improve. How does the metric help you to improve? Is it an actionable metric? Or just a metric to make you feel good? Guideline 4: Delight all stakeholders. An organization is a complex adaptive system. There are many people and systems involved. You can’t please everyone, but you at least want to know when someone is getting unhappy. Guideline 5: Distrust all numbers. In the end, numbers are just numbers. Do you really believe 42 is the right answer? Always keeping your mind when you see numbers. Guideline 6: Set imprecise targets. Every process has a biorhythm. Every process always has deviations. Do you want to focus on every difference? Or just the significant exceptions? Guideline 7: Own your metrics. Involve the team, if possible ask the team to create their own metrics. By doing this, the team knows what is measured and will also get maximum insight into the data. Guideline 8: Don’t connect metrics to rewards. Guideline 9: Promote values and transparency. Make sure all your metrics are visible for everyone, but also work on values that promote correct behavior. Guideline 10: Visualize and humanize. Nowadays, you can create pivot tables in six dimensions, use extreme colors, almost an art itself. However, it is not the goal to use all features in Excel, the goal is to make simple to understand. Guideline 11: Measure early and often. Depending on your goal, you need to think about the frequency. Would it make sense to update traffic information in Google Maps every 1 millisecond, or would every five seconds also do? Guideline 12: Try something else. After a while, that can be any time, your metrics won’t give you any useful data anymore. The system changed, or it adapted itself to fit into the metrics. Time to change, an experiment with new metrics. 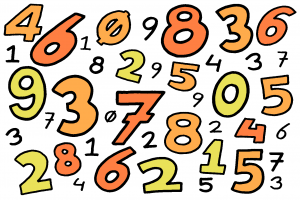 12 guidelines that can help you to improve your metrics. You will need good metrics to work with self-steering teams, to understand what is going on. These guidelines can help you to develop useful metrics. If you want to learn more about this, feel free to reach out to me! Do you want to learn more about these 12 guidelines? Do you want to learn more about OKRs? Attend a Management 3.0 Foundation Workshop!